Four New Delhi based Indian global organisations honoured Manukau District Court Judge Dr Ajit Swaran Singh at as many Awards functions in the Indian capital last month. The Awards coincided with the annual Pravasi Bhartiya Divas (PBD) 2012 hosted by the Rajasthan State government under the aegis of the Indian Overseas Affairs Ministry in Jaipur from January 7 to 9, 2012. Dr Singh has been attending the annual conference since 2008, the year in which President Pratibha Patil honoured him with the Bhartiya Samman Award, the highest award given by the Indian government to distinguished people of Indian origin (PIO) in New Delhi. In January 2010, he received the ‘India Empire NRI Award’ for Community Leadership in the Asia Pacific Region’ from Overseas Indian Affairs minister Vayalar Ravi in Delhi. The four Awards that he received last month included the ‘Global Punjabi Society GPS Award’ (January 9), ‘NRI Institute Bharat Samman Award,’ ‘Global Indian Association GIA International Excellence Award’ (January 10) and the ‘India International Friendship Society Glory of India Award and Certificate of Excellence.’ The Awards were presented at special ceremonies attended by a number of Indian and visiting dignitaries. The Global Punjabi Society, launched in January 2010, honours PIO for ‘Fairness, Justice and Community Leadership.’ Retired Indian Air Force Chief Air Chief Marshal Arjan Singh presented the ‘GPS Award’ to Dr Singh at the ceremony held at Le Meridien Hotel. Pondicherry Lt Governor Dr Iqbal Singh and former Indian off-spinner (Cricket) Bishen Singh Bedi were among the other recipients. 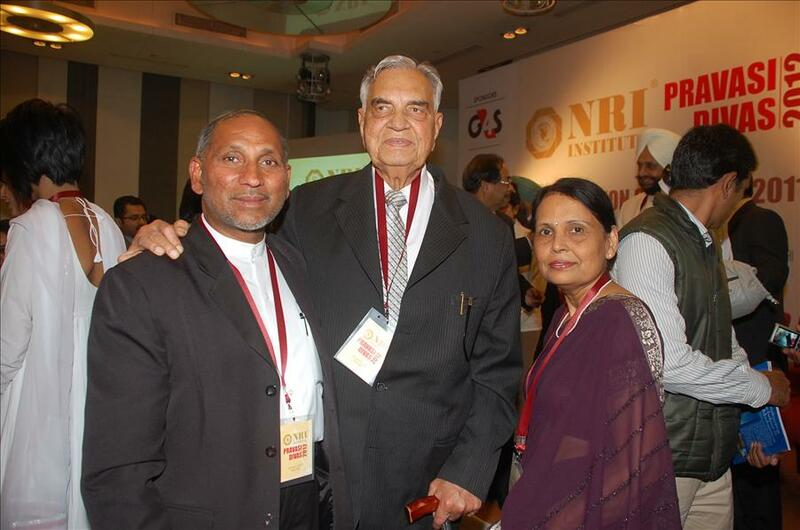 The NRI Institute, a not-for-profit organisation to provide a platform for Indians around the world to exchange information and experience, and promote investments in India, publishes ‘NRI Achievers,’ a publication that recognises PIO for their distinguished services in various fields. Among the guests of honour was former Lok Sabha speaker Balram Jhakar held at Le Meridien Hotel. T K S Nair, an Advisor at the Prime Minister’s Office in the Minister of State rank, was the chief guest at the Global Indian Association GIA International Excellence Award ceremony held at the New Delhi YMCA. He presented the Award to Dr Singh for his ‘remarkable contribution and excellence’ in Justice and Law. Minister of State for Parliamentary Affairs Rajeev Shukla presented the Award this year to Dr Singh at a ceremony held at Le Meridien Hotel. On a related note, Dr Singh is the honorary visiting professor of law at the University of Fiji Law School in Suva and Saweni (Lautoka) where he regularly lectures on pro bono basis.